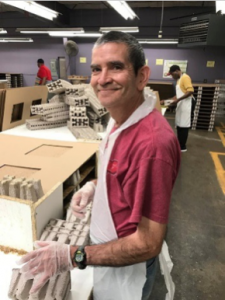 Transforming Lives Through Dignified Employment – Project, Inc.
Project, Inc. is a charity with a social mission to provide long-term and stable employment for adults with intellectual disabilities. Check out our molded pulp trays and Project, Inc. in Town & Style Saint Louis. We have been utilizing Project Inc for a couple of years to build our pallets and we are proud to use them as our vendor. To read the full article, click HERE (see page 11, upper left) and to learn more about Project, Inc., click HERE.